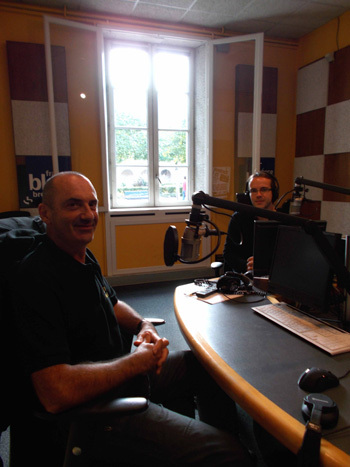 On October 9, 2013, l'Expédition Scyllias team again was invited by the French radio station France bleu Breizh Izel in Quimper. This was a new opportunity for Jean-Louis Maurette to discuss with journalist Clément Soubigou during the broadcast Culture Breizh the last land expedition in Russia which took place in May and June 2013. The broadcasting of Culture Breizh in France bleu Breizh Izel's room in Quimper.